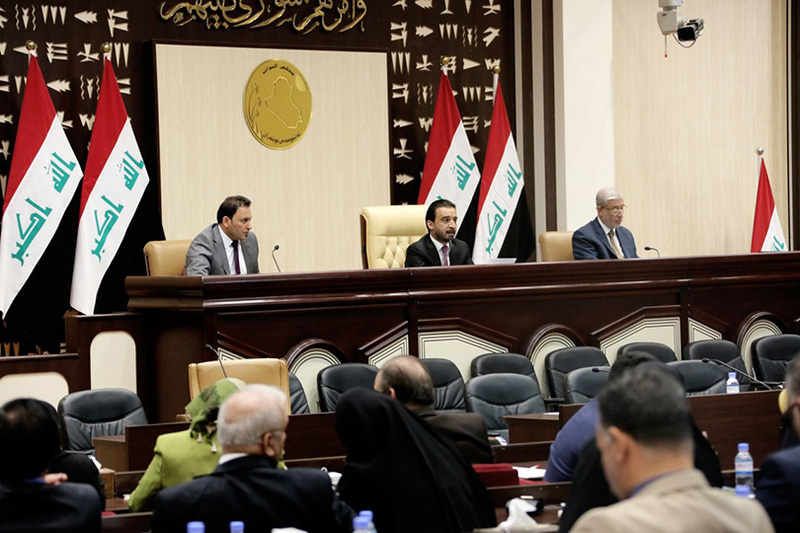 With the beginning of the new year, the debate is still going on inside the parliament on the draft federal budget for 2019. Although the draft budget was first submitted to the Council of Ministers for a number of amendments, but the revised version increased the depth of differences around the items of estimated expenditures and sources of funding approved for this General. As the federal budget did not take into account the latest version of a number of challenges, most notably the decline in oil revenues and the aggravation of the volume of public debt as well as the absence of the government program on the items and doors of the budget as in previous years. However, it appears that there is a government awareness of the seriousness of the continued funding of the federal budget deficit with foreign debts in particular, which will weigh the burden of the budget and economy in the future after the public debt (both internal and external) exceeds the threshold of 125 billion dollars until the end of the year 2018. In recent years, public budgets in Iraq have witnessed a serious financial phenomenon, which is the increase in current expenditures and the realization of financial surpluses in investment expenditures, because of the deviation from the utilization of investment budget allocations in an optimal manner. This means that the absorptive capacity of operating budget expenditures has the flexibility and the ability to use and the financial implementation, while the absorption capacity of investment projects deviates from real and financial utilization rates by about 50% on average. The surplus diverts the level of utilization of investment capacity in the public budget into an additional financing resource for the annual expansion programs in the operating budget for next year. What is really worrying is that most of the investment expenditure is financed through external borrowing. Therefore, not fully implementing it means losing the opportunity cost and loading subsequent budgets the costs of borrowing and public debt premiums, which sometimes grow at rates exceeding economic growth. The country is sliding into a new debt trap, especially with the difficulty of operating spending pressure and the declining prospects for the recovery of oil prices as part of the global economic slowdown and oversupply, and weak government efforts to boost non-oil revenue to finance public spending. On the other hand, external borrowing to finance investment expenditures without the capacity to absorb such expenditures (due to bureaucracy, corruption and conflict over project contracts) leads to the seizure of part of that money in the ongoing corruption of the country's financial resources. The proof of this approach is that the budget was approved with a planned deficit in many previous years, ending with an actual surplus, as in the case of the 2018 budget, for example. Thus, foreign funds were borrowed in the name of financing the general investment expenditure, while the state institutions were unable to invest those expenses in the planned manner, for a number of reasons, the most important of which are bureaucracy, administrative and financial corruption, political conflict over contracts, poor performance of executing agencies and slow release of investment allocations and other reasons. To avoid the repetition of previous scenes, the planned investment spending rates should be reviewed, the experience of previous years should be re-examined, and some items of non-expendable investment expenses reduced to avoid borrowing. If there is a chance to start strategic investment projects, and provide the implementing agencies and the study of these projects well, then it is possible to achieve a supplementary investment budget, attached to the public budget, and the maximum control and planning. Domestic borrowing, from local financial institutions and the public, can also be focused on issuing bonds in different categories. This financial source will be more secure and achieve economic sovereignty, and will also contribute to controlling consumption and reducing the demand for the dollar. The benefits of domestic public debt will also be injected into the country instead of being transferred abroad and in foreign currency. Finally, it is necessary to inspect and check the actual rates of achievement and compare it with the scheme to verify the funds on the one hand, and follow-up the underdeveloped in the completion of projects planned on the other hand, and reduce corruption and manipulation of stagnant funds in the general budget.